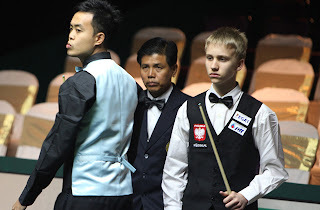 Right after curtain closed for Wuxi Classic 2011, a few players need to fly over Thailand for PTT-EGAT Snooker World Cup immediately ;-) What a busy month for players and fans! Republic of Ireland sadly suffered a shock defeat against Pakistan. 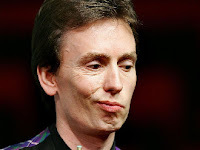 Ireland team which formed by 1997 World Champion Ken Doherty and Fergal O'Brien lost 2-3 though Ken made 111 in first frame while O'Brien pushed a 101 in the last frame. "We're very disappointed to lose but it's amazing that we both made a century break each but lost the match 3-2," said Doherty. "There will be a lot of shocks and surprises and it's very hard to get into rhythm, especially with the doubles match. In my opinion, Ken is right. The doubles frame is a challenge for two players because each of them will take turns to play each shot (i.e. in a break, A pots red and then B pots black and so on) instead of one player completing his break. It requires cooperation and consesus. This rule is seldom found in snooker as it is an individual sport. However the doubles frame may take a long time to finish. For example this particular frame took Ireland v Pakistan and Hong Kong v Poland over an hour to finish. More safeties and scrappy breaks may be seen. It reduces interests of viewers on the match as well as the playing form of players. Another team which suffered surprising lose was Hong Kong. Team from Poland consisted of 15-year-old Kacpar Filipack, who turned to pro circuit this season by winning U21 European Championship. Poland won 3-2 and Filipack shone over the matchs. "He is a pretty good player, looks quite comfortable and has a big future ahead of him," said Fu. "In one-frame matches anyone can beat anyone so it wasn't really a surprise result and I had a few chances but he took his. 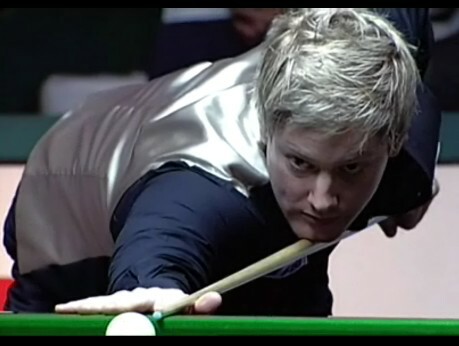 "He looks more composed than (16-year-old) Luca (Brecel) who has a more free-flowing game like Ronnie O'Sullivan. Ding Junhui, Liang Wenbo formed team of China which beaten Malta by 3-2. Ding hits a 120 in the last frame to finish the match perfectly. Northern Ireland was on fire to beat India 4-1 with 102, 68. 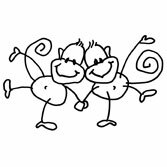 Mark Allen and Gerard Greene will enjoy their performance today. Neil Robertson from Australia showed up in the first day of tournament with Steve Mifsud to play Thailand Team 1 (James Wattana and Dechawat Poomjaeng). The Australian cooperated pretty well and had a win comfortably. Thailand Team 2 (Passakorn Sunwannawat and Thepchaiya Un-nooh) claimed a 3-2 victory over Afghanistan while Brazil had a victory 3-2 over Belgium. 16-year-old Luca Brecel is one of representative for Belgium.